The history of crocodiles is fascinating. 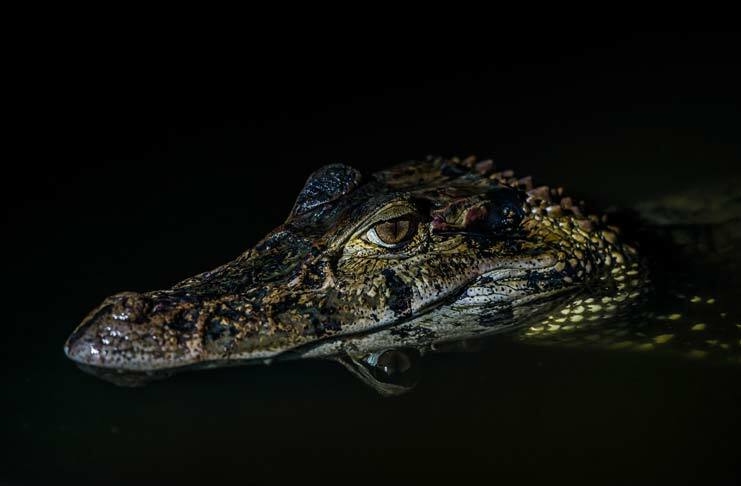 Very few animals, including humans, have as mysterious a history as the crocs. The only known animal thought to have survived the asteroid that wiped out the dinosaurs and everything that existed in the world at that point in time, is the crocodile. The history of crocodiles dates back to 250 million years for sure. There could be more evidence, yet to be discovered, that may peg the history to a much earlier era. The annihilating event of the asteroid hitting the earth happened about 65 million years ago. Dinosaurs, giant elephants and various types of mammals, reptiles, fishes and birds had become extinct thereafter. But crocodiles survived that mass extinction and even today the species thrives across the world. Crocodiles hail from the Archosaur family and they thrived in the Cretaceous period. The same period is also referred to as the Age of Reptiles. Archosaurs were among the first giant lizards that evolved during the Permian period which was sometime around 250 million years ago. It is believed that as the Permian era made way for the Triassic period which dates about 220 million years ago, the crocodiles or the Archosaurs evolved further. One evolution lead to crocodiles and the other evolution lead to birds and dinosaurs. In that sense, crocodiles have an origin that is same as that of dinosaurs but they may be older than the latter. Protosuchus, which is the oldest fossil found till date happens to be 240 million years old. The term, Protosuchus, actually means first crocodile. The period to which the fossil belongs is the renowned Jurassic era. Considering the fact that crocodiles have been around for more than three hundred millions of years and possibly for many millions of years more, one would expect the species to be much more evolved. But then there is the reality that they survived a mass extinction which even the larger variants, the dinosaurs did not. That is where the real mystery of the history of crocodiles lies in. How did the crocodiles survive? Did they evolve through the post apocalyptic days or they transformed in ways that we do not know of? The answers cannot even be guessed, let aside having enough scientific data or evidence to make an informed inference. Among the Archosaurs, birds and crocodiles are the only remaining species. But no known bird is as old or as mysterious as the croc.